There’s a bunch of places to buy electronic components. Myself, I love to go to a brick-and-mortar store to buy components, because then I can get them without waiting. Unfortunately, many cities don’t have these anymore. So what do you do? Buy electronic components online. And if you’ve never bought components before, check out the links at the end with tips on how to choose components. Below I’ve listed the stores that I’ve either used myself or that I’ve been recommended. If you don’t see your favorite store here, add it in the comments below and I’ll check it out. If you’ve never bought components before, it’s a bit intimidating. Some stores have A LOT of different components. But once you get the hang of it – it’s easy. And suddenly you’re not limited by the supply of one store. The whole world is your shopping center. DigiKey has about every component that exists in the universe. That’s great, but a bit overwhelming. Start your search by using a more hobby-oriented shop like Sparkfun or Bitsbox. 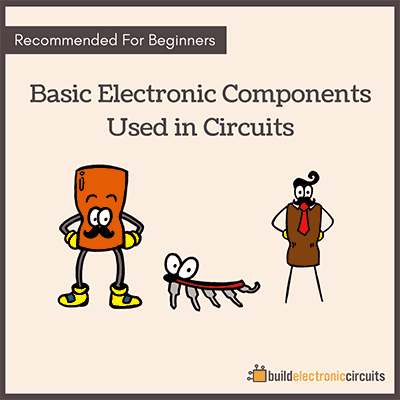 There you’ll find the most standard transistors, resistors, and capacitors that usually works for most beginner projects. Find the part numbers and use these to order from whatever store that has the best shipping option for you. Similar to DigiKey, and located in Mansfield TX, which is a 1 – 2 day delivery for me. Yes, mouser is a good one. I’ve used them too in the past. Check it out if it fits your list! They’ve gone through some changes back and forth, so I’m not really sure what they are anymore. But seems like they are selling components online now. Thanks for the comment! For the US I would also include Arrow Electronics (arrow.com) and Future Electronics (futureelectronics.com). They are similar to Digikey and Mouser. YES! I love Arrow.com and it’s my go to, especially when I only need one or two item, I love that they have free next day shipping with no price minimum. 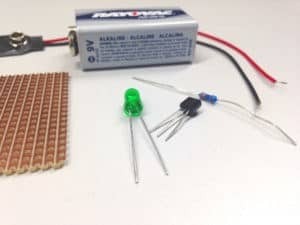 Who wants to pay $5-$10 shipping when all you need is one $0.50 5w 10 ohm resistor? There should be. Let me know if you find any. Thanks for the input! I know many people are looking for stores in South Africa and other African countries. Three Internet sources I can highly recommend. Each has its own “inventory type” and their websites have fairly compete technical specifications. I live close to #3 and I go to their warehouse and pick up my parts. I have ordered parts from all three several times a year for the last ten years. I also have a pot power calculation question. Thanks for your input Richard! Polish company with 9 subsidiaries in Europe, and more coming (China, USA…). They have also a sales and customer services’ office for African and Middle-Eastern Markets. Their delivery time and prices are interesting. http://www.aliexpress.com has a lot of components. Many of the components have to be bought in bulk, but the bulk prices can be lower than single item pricing at the retail store. For example, buy 100 2N3904 transistors for $1.08 USD total, plus free shipping. It can take up to about a month to arrive however. I recognize that this website is ran and operated by Oyvind N. Dahl, an expert in Electronics. Having said that, I have learned some unique knowledge over the last 2 years that may qualify me as a Guest Columnist. 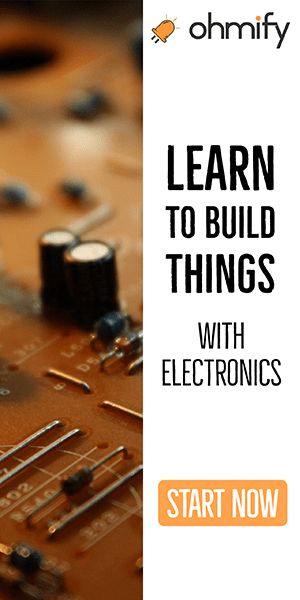 In particular, I can give a few pointers on how to buy from Element14 to minimize cost and delivery time. Are you receptive? How do you feel about arrow.com for purchases? I haven’t used them in many years. Before, they were only focused on business-to-business and I think they didn’t even sell to you if you weren’t a business. I took a quick look at their webpage now, and it seems like they are more up-to-date with things. I recommend you try them out and post your experience here. For my business, I use Mouser/Digikey frequently. Because they provide the most complete selection of parts for my projects. But Electronics is also my hobby, I spent a lot of time for searching parts for my hobby projects. I usually visit Hobby Engineering. Recently, I found a online store called LCSC on EasyEDA, an online PCB design tool I’ve used for a long time. The price is incredibly low. the MAX6675ISA+T bought from LCSC is $2.8, but $17.2 from Mouser. That’s so surprise. I know one good Chinese OEM store, http://www.in-fortune.com, has good prices. I really miss the days of going to the local radio shack. I went through a bunch of your list of website to buy componets. A few of the sites didn’t even have a means to search. A few that had search I typed in 2200uf 50v and came up dry on some of them. I mean I think everyone knows that’s a capacitor. I would just like one site that has a search, vast inventory, fair shipping costs to the USA and where the components are reasonably priced. Any ideas? I would recommend Digikey for that. But leave out that 2200uF and 50V in the search. You’ll get thousands of suggestions, but with a filter where you can specify 2200 uF and 50V. I’m going through the same run-around..looking for a couple pots ( potentiometers )….done an open search and a closed search…..I’m getting nowhere….have to start robbing from peter to pay paul..I want new components but have to salvage parts from other non working units..
You’re not finding any potentiometers? Or you need something very specific? If you just want some standard potentiometers and are having a hard time browsing through digikey, I’d suggest sparkfun.com. They have a smaller selection, so it’s easier to make a choice. Pak Electronics is the best one I found. They always deliver very fast at my home. http://pakelectronics.com.pk . If they don’t have something, then I have to go to market. I have an account with RS Components online in the UK, for some of my components. I also use Maplin shops in the UK, but they are now in administration, so I am watching the outcome of this situation. also generously provide alternative parts guide to us. 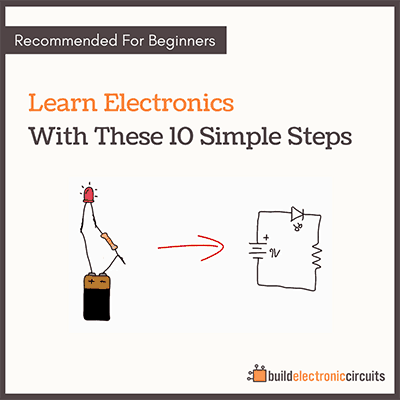 It really does take time and a little bit of practice to get the hang of buying electrical components. After all, there are so many different kinds of electronics that it can be hard to figure out what you need to buy. Fortunately the article does provide a pretty great list of places to go where you can get help in choosing the right electronics. I would advise TME LTd as a great source of electronics components. They’ve got several offices acorss the Europe (UK, Spain, Italy, Germany Holand etc.). Low shipping prices and good quality parts. Try this one and let me know, thanks. You can buy electronic components from Shenzhen China, that what we do, you can visit us by website: http://www.szlantuwy.com/en. Then contact us. I’ve been recently getting all my components from this shop. They have great prices, I recommend it to all of my students. Can anyone recommend any good electronic stores in my town/area in Kuching, Sarawak, Malaysia. Hey you say that you prefer to go to brick and mortar stores, are there any that you would recommend? It would be better if they were a chain because then there would be more of a chance of one being near me. Im looking for a transformer for the main power board of a whirlpool gas dryer …I have no idea where to buy one please help I have the specs if you need them …thank you! What about Ebay. They have a lot of parts that are hard to find and low prices on some items when you buy 10 or 20 of something. Bangood also has lots of cheap components. With both you need a little of the “buyer beware” mentality. Just click on any of the links and you’ll be taken to the online shop.